"I Can't Make It Esmeralda". Moses felt ashamed after save a Heberw slave from the guard that falls to his death. 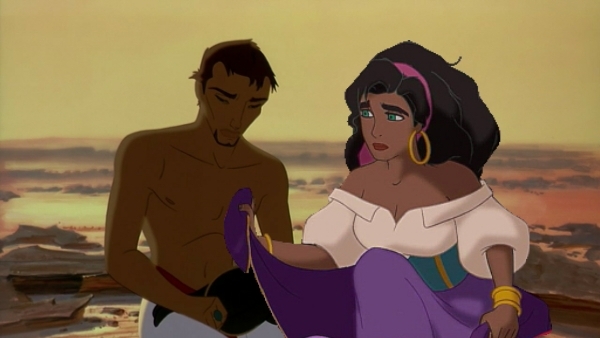 Moses flees into the desert but Esmeralda have been flowing Moses cause she know about his mother and about him.. Wallpaper and background images in the डिज़्नी क्रॉसोवर club tagged: photo moses the prince of egypt esmeralda the hunchback of notre dame rzenteno. Thanks I hope love this. Have you saw more of these I have made? yes i saw!!! they are great!!! I'm just about to add another one is Moses And Esmeralda are at the red sea.